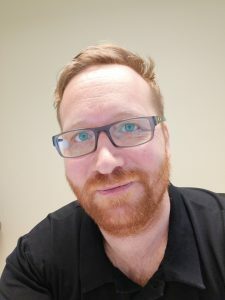 Robert Donovan (BPsych (Hons), PhD) is Adjunct Professor in the School of Sport & Exercise Science at the University of Western Australia, and the Founder of Mentally Healthy WA's Act-Belong-Commit campaign. He has an international reputation in social marketing and health promotion, and has (co-)authored around 250 journal articles, books and book chapters across marketing, psychology and public health, and a similar number of technical reports for government and non-government organisations across a variety of health and social policy areas. After a career in commercial marketing he returned to academia in the early 1990s. He has taught in US and Australian university business schools and been a Visiting Scientist with the US Centres for Disease Control and Prevention in Atlanta, Georgia. 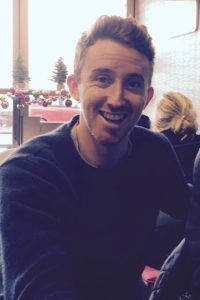 He has conducted research and program development across a broad range of health and social policy areas, including alcohol, tobacco and drugs, physical activity and the built environment, early childhood & parenting, child abuse, domestic violence, racism, doping in sport, suicide prevention and mental health promotion. Until recently he has been Vice-president of the Board of Relationships Australia Western Australia, deputy chair of the Western Australian Ministerial Council on Suicide Prevention, a board member of the suicide prevention group Mates in Construction WA, and chair of the scientific advisory group of RUOK? He currently chairs the World Anti-Doping Agency's Social Sciences Research Sub-Committee. Vibeke Koushede (Midwife, MPH, PhD) is a Senior Researcher affiliated with The National Institute of Public Health, University of Southern Denmark. She is an entrepreneurial spirit passionate about mental health promotion. Along with her team she works to address mental health promotion in an innovative way using a cross-disciplinary approach to bridge the gap between research and practice. 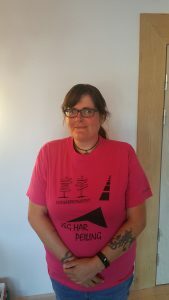 Vibeke is the initiator and project leader behind taking Act-Belong-Commit to Europe and adapting it to a Danish context under the name ABC for mental sundhed (The ABC of mental health). In Denmark the program is lead as a large partnership project between a variety of Danish municipalities, organizations, NGOs and researchers. In 2015 Vibeke authored the book For mental sundhed - et nyt perspektiv (For mental health – a new perspective) an introduction to mental health promotion for practitioners. 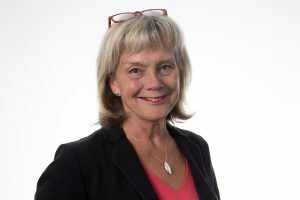 As a national expert in her field Vibeke regularly advises organizations, does consultancies for public authorities and participates actively in the public debate on mental health and wellbeing. 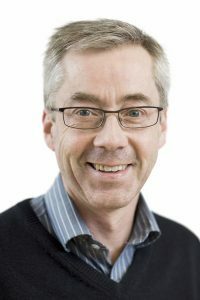 Steinar Krokstad (MD, PhD) is a professor of medicine at NTNU and the director of the HUNT Research Centre, organized under the Department of Social Medicine and Nursing at the Faculty of Medicine and Health Sciences. He is also a consultant in Psychiatry at Levanger Hospital, Nord-Trøndelag Health Trust. Krokstad received his doctorate in Social Epidemiology/Public Health investigating socio-economic causes of poor health, disease, mortality and disability. Furthermore, he has research experience in Psychiatric Epidemiology and Health Services Research. He has published numerous journal articles, several reports, as well as book chapters in Social Medicine and Medical Sociology. In addition, he is one of the editors of the new Social Medicine textbook in Norway. Krokstad served as the Project manager (PI) of the Nord-Trøndelag Health study from 2006-2008 (HUNT3), which integrated data from a variety of medical and social science research disciplines. Data from HUNT3 has led to extensive research in a wide variety of disciplines. HUNT3 was also a population based screening for selected diseases and conditions. 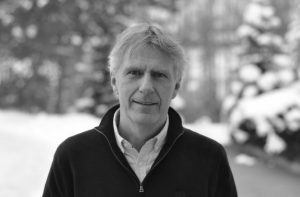 As head of the HUNT Research Centre since 2008, he has been heavily involved in disease prevention and health promotion in partnership with local, regional and national authorities within Norway. In addition, Krokstad serves as the leader of Folkehelsealliansen in Nord-Trøndelag. Their theme this year is mental health, with a focus on ABC measures to promote positive mental health within the communities/county. Lars Lien is a physician who received his education at the University of Tromsø. He is a specialist in social/community medicine & psychiatry and holds a PhD in adolescent mental health. He has held various clinic, leadership and research positions and currently works as the Head of the Norwegian National Advisory Unit on Concurrent Substance Abuse and Mental Health Disorders and as a professor in Public mental health at Inland Norway University of Applied Sciences. In addition, he is a part-time consultant in transcultural addiction medicine in Finnmark’s addiction clinic. Dr. Kristenson was, during 1995-2017, National Coordinator of the Swedish HPH Network and is today Senior Advisor for this network. 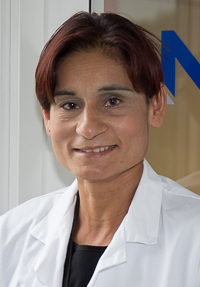 She is member of the Governance Board for the international HPH Network and member of the Scientific Committee for the International HPH Conference. Paul Joachim Bloch Thorsen (MD) was educated as a doctor at the University of Bergen. He is a specialist in Child and Adolescent Psychiatry, currently working as the chief psychiatrist at the Children's Department at Haukeland University Hospital. He also is a former national team coach in diving and head coach for the Bergen Diving Club. In addition, he is the initiator of and professionally responsible for the child and adolescent psychiatric offer at the Energy Center for Children and Young People. 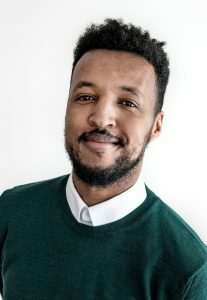 Warsame Ali holds a Master’s Degree in Psychology and is a researcher at NAKMI – Norwegian Institute of Public Health where he currently leads the project “Mental health information in reception center classes”. His research interests include mental health and prevention among migrant youth. He is the co-author of a report on khat and health, children as next of kin, and outdoor activities among migrants. Peter McGovern (MD) has been working with The World Health Organisation on their Quality Rights Initiative since 2014. He is a psychiatrist originally from Ireland, dedicated to developing human rights based approaches to mental health care and supporting people with psychosocial disability. Peter was a contributory writer and advisor in the development of the Quality Rights guidance and training tools. These tools can be used to build capacity on how to implement a human rights and recovery approach in the area of mental health in line with the UN Convention on the Rights of Persons with Disabilities. Peter continues to work with WHO as a Quality Rights consultant and trainer around the world. He is currently living and working clinically in Oslo, Norway. 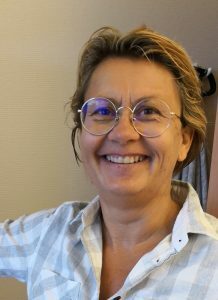 Ida Bukholm (MD, PhD) is a surgical specialist and has held a position as a professor at both the University of Oslo and the Norwegian University of Life Sciences (NMBU). 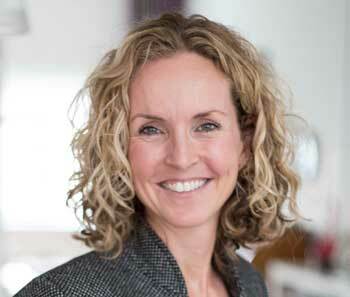 In addition, she works as the leader for the Patient safety Section at the Norwegian System for Patient Injury Compensation (NPE). She has also served as the National Coordinator for the Norwegian Network of Health Promoting Hospitals and Health Services (Norwegian HPH) for many years. Elisabet Hurtado Lundberg works as a project manager for NSPHiG and inspirator for the "Hjärnkollskampanjen" (campaign). She has a wide background in dealing with drug abuse, care and care and is educated cultural project leader with the major subjects of social science. She is an active lecturer in neuropsychiatric disabilities and lectures on how to make life together as a woman, parent and professional with ADHD. Elisabet also keeps educations for professionals on user influence and behavior / approaches, theory / aid / response, and about strengths and positive qualities. 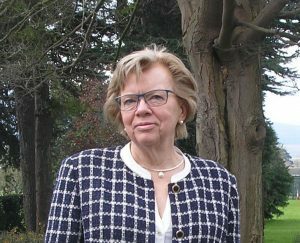 Inger Kari Nerheim was the Divisional Director of Psychiatry in Stavanger, Norway for nearly 17 years. She also led the “arbeidsutvalget” (AU) for the Norwegian HPH network for 8 years. In addition, she serves as the president in the Sub-Committee for Mental Health in the European Association of Hospital Managers. She currently works as a project leader for the Veiviserprosjekt in Rogaland and Sunnhordland. Agathe Svela is an "erfaringskonsulent" at Jæren DPS and works with “læring & mestring” (patient education) and guidance. 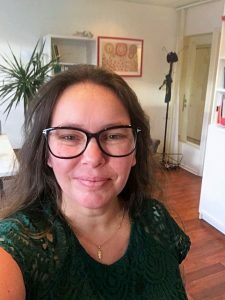 She is educated as a vernepleier and has experience working with substance abuse, child welfare and psychiatry, both as a miljøterapeut and department leader. Agathe has continued to further her education in both mental health and interdisciplinary guidance. She says that helping others find their wishes and motivation for recovery is a privilege. Veronika Nesse Hansen s a “prosjektmedarbeider” (project employee) with the Veiviserprosjekt and has worked for several years as a chef. Her main areas of focus/interest are diet and mental health. Veronika has a solid experience in recovery work and would like to work towards incorporating a recovery-approach into treatment.